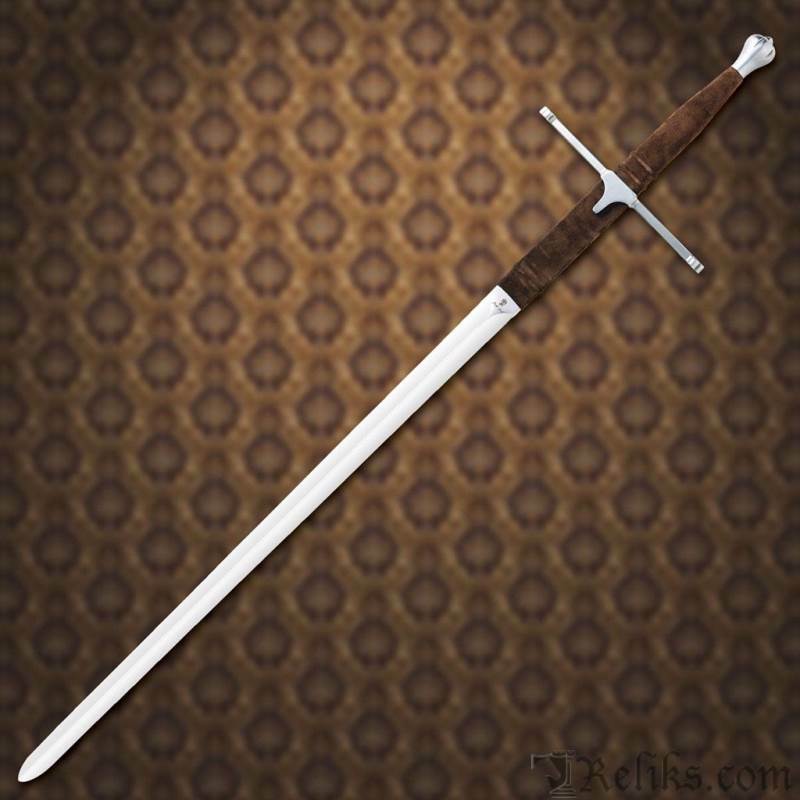 This replica is just like the one used in the movie Braveheart and more importantly is a close replication of the sword used by some highland warriors in history. The greatest hero in Scottish history, William Wallace lived seven hundred years ago. Sir Malcom refused to swear allegiance to King Edward (Longshanks) and in 1291, in a battle at Loudoun Hill, William's father met his own death. By 1297, William Wallace controlled much of Scotland. His battles were legendary. Although largely outnumbered, his army defeated the English at Stirling Bridge which ran the English straight out of Scotland. The English Treasurer, Cresingham, who was an arrogant and militant priest, was torn to pieces and skinned. This led Wallace to be Knighted and granted the title 'Guardian of Scotland'. Wallace was cornered at Falkirk in July 1298 and forced to do battle, this time the superior English army finally prevailed and the Scots were defeated. Wallace's head was displayed on a spike on London bridge and his limbs were sent for display in Newcastle, Berwick, Stirling and Perth to deter any further rebellions. 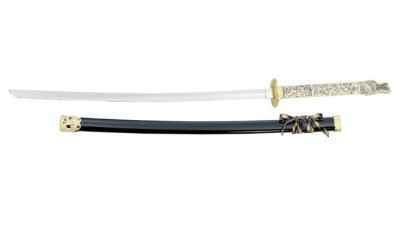 This effective warriors sword lacks unnecessary decoration and has a long and straight, fully tempered AISI 440 stainless steel blade. The guard is a narrow crossbar. 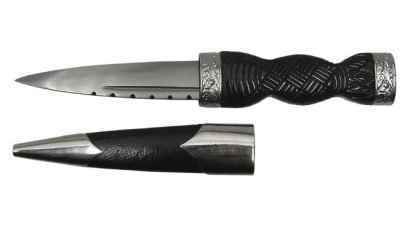 The Zamak grip is wire wrapped leather with additional leather-wrapping around the base of the blade. This serves a functional purpose as a place to grab when extra leverage is needed. Decorative use only. Intended for wall decor, displays, home or office decor or for costume. William Wallace Braveheart Claymore - This replica is just like the one used in the movie Braveheart and more importantly is a close replication of the sword used by some highland warriors in history. 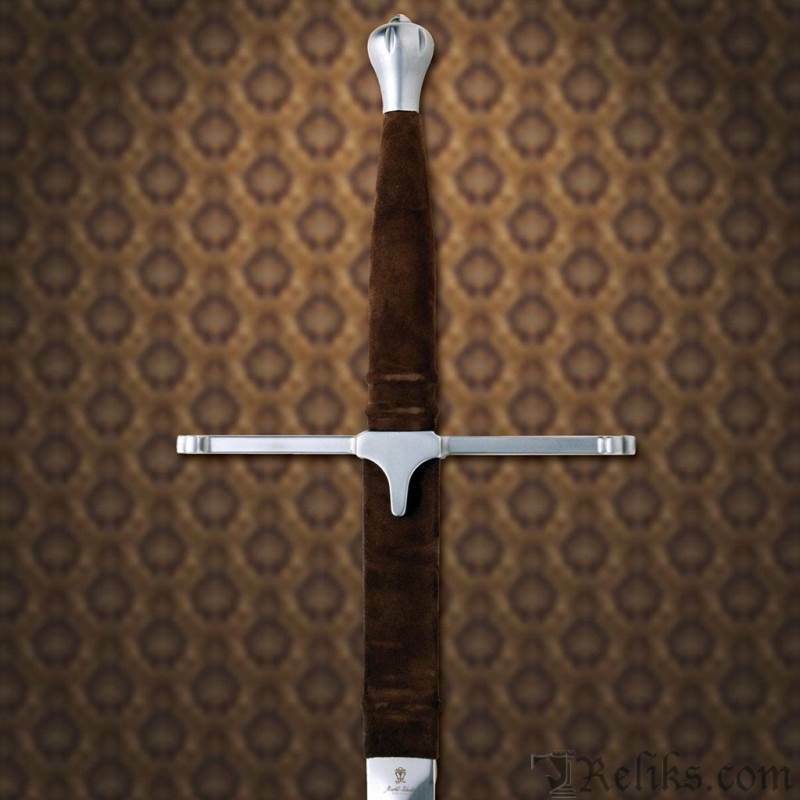 Braveheart Claymore - This effective warriors sword lacks unnecessary decoration and has a long and straight, fully tempered AISI 440 stainless steel blade. 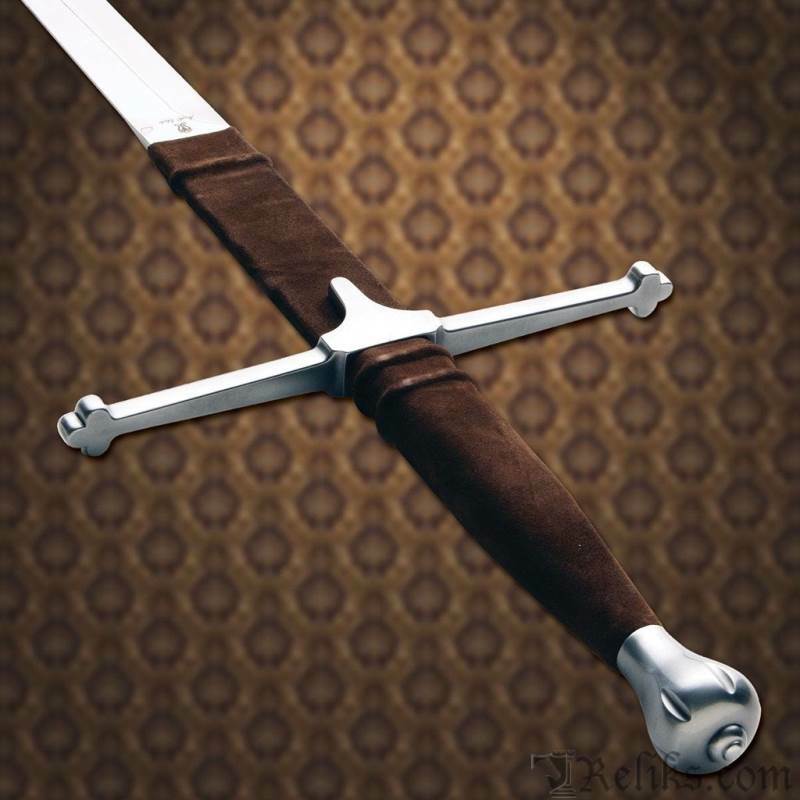 Wallace Claymore - The Wallace Claymore Zamak grip is wire wrapped leather with additional leather-wrapping around the base of the blade. This serves a functional purpose as a place to grab when extra leverage is needed. 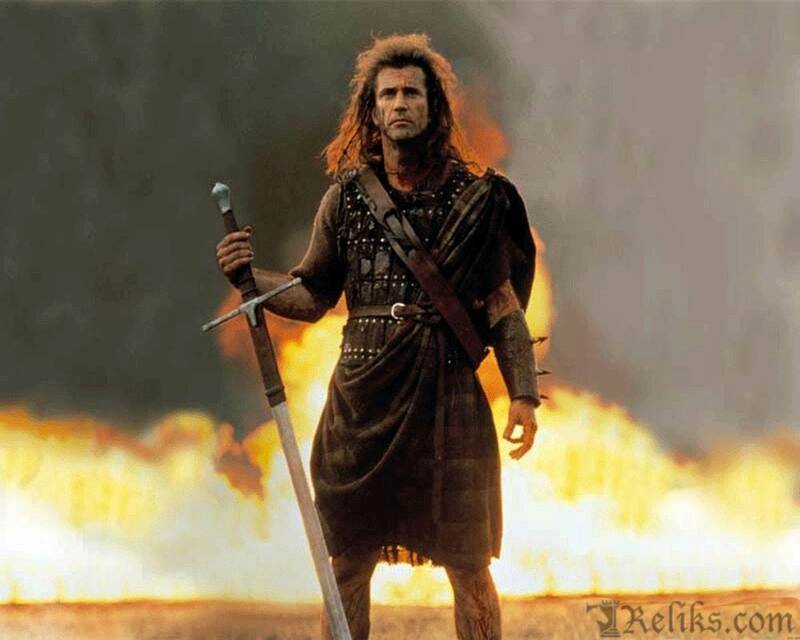 William Wallace - The greatest hero in Scottish history, William Wallace lived seven hundred years ago. These swords are intended for display or costume wear only. 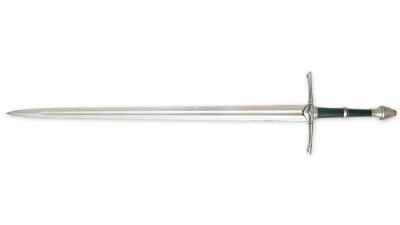 If you are looking for western martial arts grade swords please visit our Functional European Swords section.